Neoss®, in collaboration with Prof. Christer Dahlin (Region Västra Götaland and University of Gothenburg) and Dr. Margarita Trobos (University of Gothenburg), has been awarded a research grant within the Swedish governmental strategic innovation program ”Project for better health” funded by Swelife and Medtech4Health. The grant (1,000,000 SEK) will support the joint research project “Open Healing Concept – Advanced Membrane for Bone Regeneration”. In Guided Bone Regeneration (GBR), a membrane is used for the treatment of bone defects, often in conjunction with dental implant treatment. 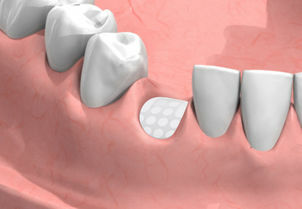 The Open Healing Concept allows intentional exposure of the membrane to the oral cavity with a maintained barrier function. The Open Healing Concept represents a paradigm shift from the current standard GBR protocol which utilizes a closed healing situation. The aim of this project is to verify bone formation and infection control of a newly developed membrane using the Open Healing Concept. Dr. Herman Sahlin, Research Director at Neoss, comments: “We are very excited about this grant. It helps us to continue our successful research collaboration with Region Västra Götaland and University of Gothenburg, and it gives us valuable resources to further evaluate the performance of our NeoGen membrane in pre-clinical and clinical models." The program “Project for Better Health” supports collaborative projects developing products, treatments or procedures with great innovation potential. The aim is to improve prevention, diagnosis, monitoring or treatments of diseases or other conditions that require, or may require, health care. The program is funded by SweLife and Medtech4Health, and is intended for project teams consisting of at least two partners coming from different sectors, e.g. academia, industry, or healthcare. In total 144 applications were received, and 22 projects received funding.